Hand squeezed, fresh yuzu juice from Japan. 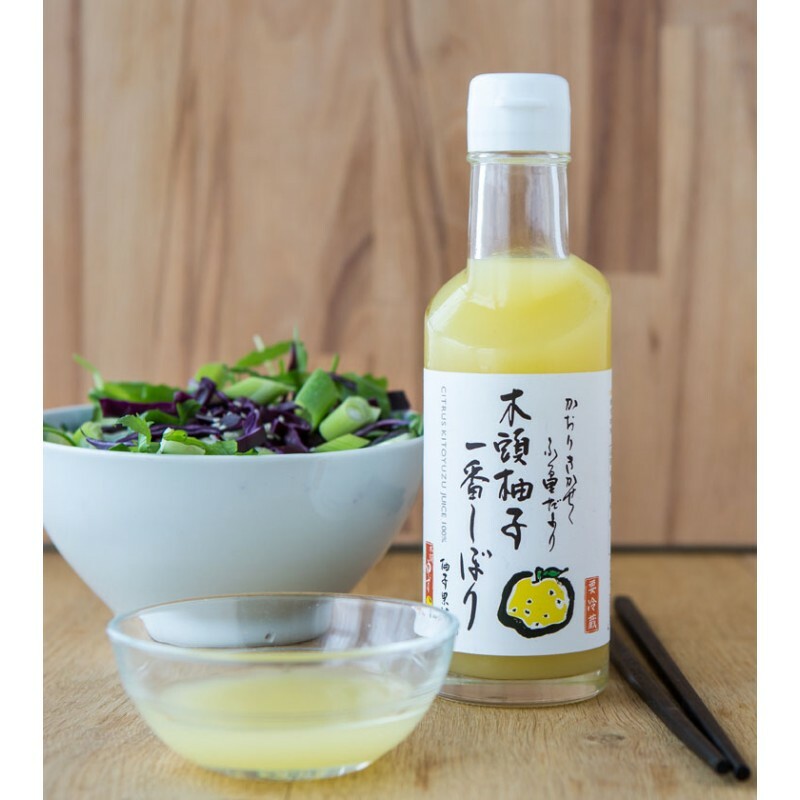 No other ingredients mean this is 100% fresh yuzu juice. Nicknamed the king of citrus, yuzu is famously zesty with a floral flavour that tastes like a mandarin crossed with a grapefruit. The powerful, aromatic zing delivered by just a drop or two means this juice packs a big punch in salad dresssings, vinaigrettes and sauces. Particularly good with fish it also makes an excellent marinade for chicken and will hold its flavour even when barbecued. Yuzu will deliver a surprising and original citrus flavour to any cream dishes or cakes that suit lemon; cheesecakes, ice cream and sorbet all work very well. A dash in a G&T or any cocktail makes a hugely popular change and yuzu sours, margueritas and mojitos all come highly recommended! Storage: Keep refrigerated. Once open use within 3 months.